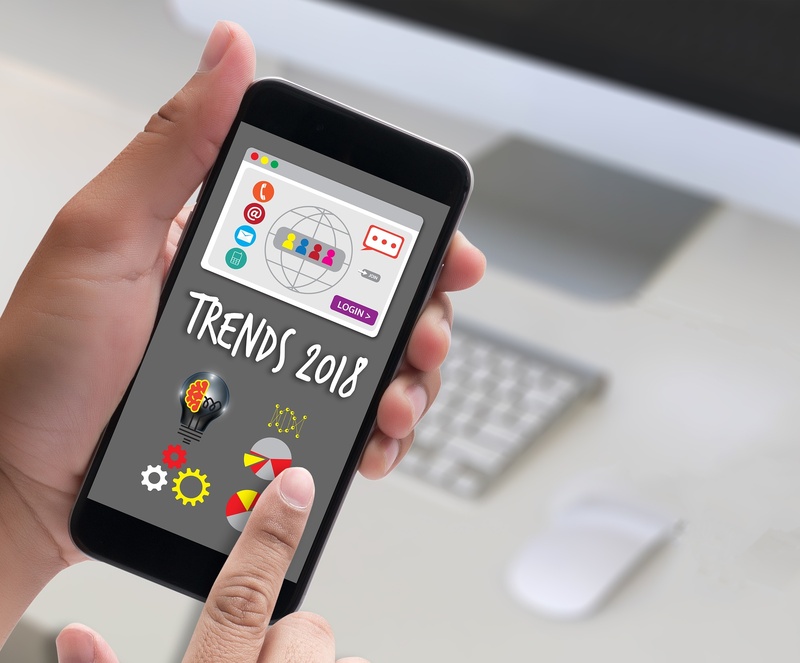 As we enter into the 4th quarter of 2017, I’m going to make a couple of predictions on web design trends for 2018. But if you are looking for an article on white space, typography, negative space, high quality photos, or cinemagraphs, this article is not for you. Is your website ready for 2018? Apply for our free website assessment to find out. One of the main functions of a high-performing website is converting visitors into leads by capturing contact information such as name, email and phone number. Many websites use contact forms such as Contact Form 7, Gravity Forms, or WPForms. The biggest drawback to using these types of forms is that when a visitor sends you their contact information, you receive it as an email. Manually tracking leads from your website can also be a time-consuming process, and many salespeople use their own spreadsheet to track the status of their leads. A better method is using a Customer Relationship Management (CRM) software to track leads from your website. Most modern CRM systems allow for the seamless integration of contact forms, which will save your salespeople their most valuable asset: time. Every minute your salesperson is spared from data entry is time spent meeting prospects and developing relationships. Time is your most precious asset. Integrating your CRM/marketing platform with your website is a huge timesaver that has a large impact on the productivity of sales teams of all sizes. In the past, web design was (and, for many, still is) viewed as one of those necessary evils that a company had to do as a cost of doing business. The traditional web design process would take 4-6 months to complete, and it cost between $10,000 to $80,000. Because the journey was so long, expensive and painful, companies would be very reluctant to go through the process again unless absolutely necessary, so it would be 3-5 years before the next web redesign project would be approved. One of the negative consequences of this traditional approach is because there is no further analysis made on how the visitors are actually using the site, you don’t know whether you have a website that’s actually delivering results. Equally important is that while your website sits static for those years, the world continues to change. New products and/or services are introduced, buyer behavior evolves, design patterns change, and competitors adapt. Redesigning only every 3-5 years leaves you very vulnerable to being left behind, which impacts leads generated and sales closed. There is a better way: Growth Driven Design. Build a launch pad website that contains the core elements of the website and is better than the current website. Optimize the website conversion rate using data collected from the website. Using analytics and website-tracking software, such as Hotjar, you can optimize the design and content based on actual user interaction. By adopting a growth-driven design approach, your website can become your company's best salesperson, working 24/7 to bring in qualified leads and to help close sales. The days in which an effective website could be a simple collection of site pages and blogs is a thing of the past. How you organize your site’s content and information will become a critical factor in driving traffic to your website. With the recent changes to Google’s Search Algorithm, it is clear that critical changes are necessary in order to be ranked higher in the search results. According to research from Hubspot’s Anum Hussain, organizing and linking related content into topic clusters had a positive impact on placement in search engine results pages. Visual design elements will always be an important part of web design. In fact, selecting the right look, font, color and pictures is important to keep your site looking fresh and relevant. But for most companies, the main function of a website is to attract visitors and convert them into leads. We believe that companies who adopt these business web design trends will save their sales team time, generate more leads and drive more traffic to their website. Is your website ready for 2018? Click the link below!